CNN embraced the digital component of its news service on Thursday when it announced CNNx, a new way to watch the network's programming. The app allows users to scroll through a rundown of the past 24 hours of programing on the network, and select what they want to watch with a tap of their fingertips. Viewers will be able to catch up on what they missed or see what’s up next on the docket. “CNNx is a really revolutionary advancement, and allows the consumer to be the producer. It allows the consumer to be able to enhance what they are watching and decide when they want to watch, when they want to watch it,” CNN Worldwide president Jeff Zucker told Adweek. Each news topic will contain the original newscast and additional digital content created just for CNNx consumers. Zucker added that the company is expanding its digital news team, and is already hiring to fill new positions. 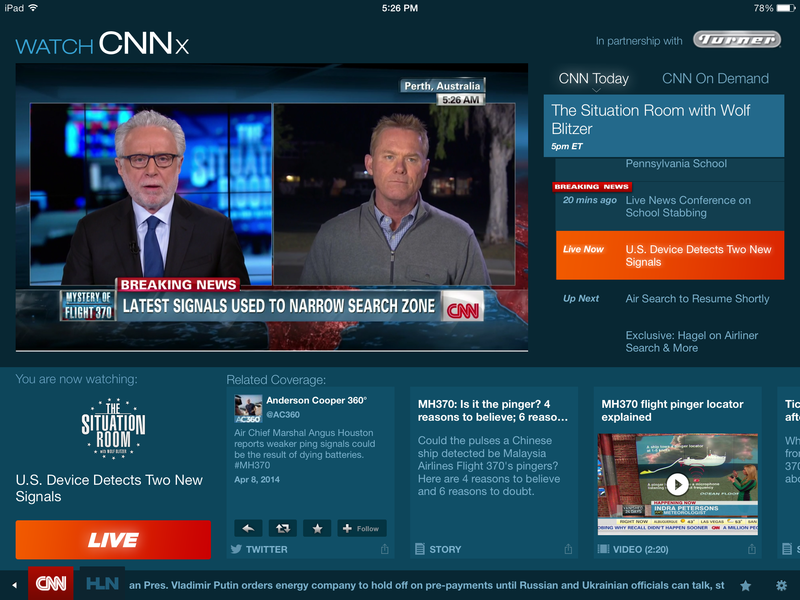 CNNx is available effective today via the CNN App for the iPad for selected customers. The network plans to roll the program out for set-top boxes and CNN.com by the end of the year.